Many of our guests need a limo or guide service. We are happy to recommend Elena, who speaks excellent English and is a highly-qualified tour guide who can organise visits to wineries and also priority tours of the major museums. 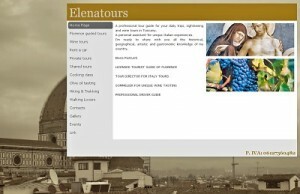 Her website is www.elenatours.com and her mobile is +39 347 4667750. Elena will also arrange transfers to/from Ripertoli from airports and railway stations, and is a wedding planner who understands the legal requirements of arranging to get married in Italy. Sandra, email Sandra Talluri, phone +39 334 819 2823. Lives in Greve. Alessandro, phone +39 339 2727883, smart 7-seater BMW. Recommended by guests April 2018. Simone Baldanzi, email Simone Baldanzi, phone +39 339 409 8088. Lives near Florence. All know Ripertoli well, and are reliable local residents. 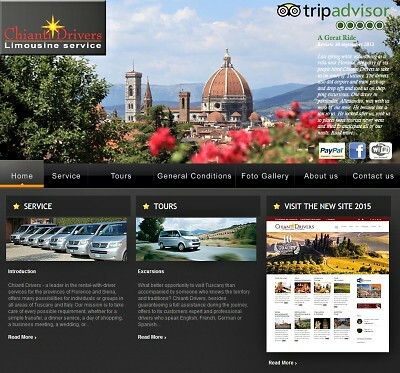 There is a consortium of local drivers, whose website is www.chiantidrivers.it. They have arranged minibuses and people carriers for Ripertoli clients and seem efficient.